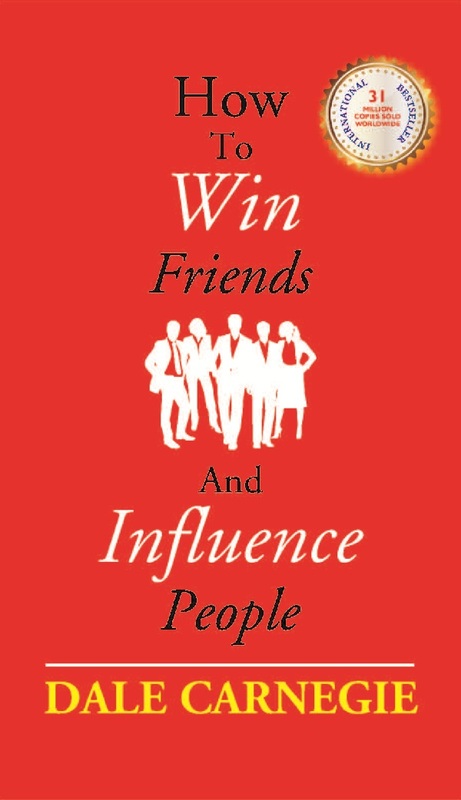 How to Win Friends and Influence People is a self-help book written by Dale Carnegie. Over 30 million copies have been sold worldwide, making it one of the best-selling books of all time. In 2011, it was number 19 on Time Magazine's list of the 100 most influential books. Dale Breckenridge Carnegie was a well-known American writer and lecturer,as well as the developer of famous courses in self-improvement, salesmanship, corporate training, public speaking and interpersonal skills. He was the author of How to Win Friends and Influence People, first published in 1936, a massive bestseller that remains popular even today. He also wrote a biography of Abraham Lincoln, titled Lincoln the Unknown, as well as several other books. Dale Carnegie was born as Dale Carnagey on November 24, 1888, in Maryville, Missouri. His parents, James William and Amanda Elizabeth Carnagey, were impoverished farmers.Dale Carnegie worked as a traveling salesman before teaching public speaking at YMCA. He taught his students how to interview well, make persuasive presentations and forge positive relationships.Within two years, the courses had achieved such popularity that Carnegie moved them out of the YMCA and founded his own Dale Carnegie Institute to accommodate the growing number of students.